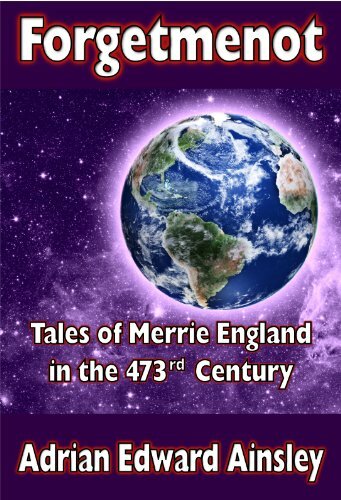 Forgetmenot is the opening short story in the Tales of Merrie England in the 473rd century. Space has been tamed with the development of faster than light travel via â€˜non-spaceâ€™; meetings and wars and friendships and eventual long-lasting peace between the twenty-nine space-faring species in the Galaxy and changes of every sort, technical, social and otherwise, too numerous to mention have taken place. One thing that survived and thrived throughout all this time is England with what for many, many centuries had been the longest surviving monarchy in all known history. In the 473rd century (47237, to be precise) things are at a nexus point, momentous changes are about to take place that will not just affect England, but will change the lives of virtually every sentient being in the Galaxy.